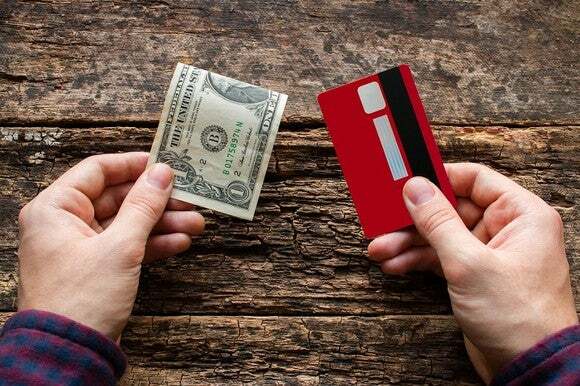 Credit cards may not be a perfect fit for every purchase, but there are some times that using a credit card makes a lot of sense, protecting you against fraud and bad business practices, while allowing you to collect rewards on every swipe. Here are five ordinary purchases you should always make with a credit card. If it’s expensive, it should probably go on a credit card. Credit cards offer one big advantage over cash payments and debit cards: When you put a purchase on a credit card, you’re often protected against damage, theft, or loss of the item for as long as 90 to 120 days after the purchase. This card benefit, known as purchase protection, acts as a short-term form of insurance for products you buy with your card. If you buy a new tablet computer only to break it a few weeks later, a credit card with purchase protection will pick up the tab to fix the damage. Most credit cards have this feature, but Chase has one of the best purchase protection policies , offering up to 120 days of purchase protection when you use your card to make a purchase. It’s a card benefit that few people know about that can save you hundreds of dollars when you really need it. Making purchases online often means dealing with sellers and merchants we don’t know as well as the neighborhood mom-and-pop shop. Making online purchases with a credit card gives you better protection against merchants who fail to deliver on their promises, since they offer better chargeback protection . But that’s not all. Many credit cards also offer “return protection,” a benefit that allows you to make a claim if a merchant won’t allow you to return your purchase for a refund of the purchase price. Return protection effectively extends the amount of time you have to return an item you purchase. Thus, if you can’t return an item within a merchant’s timeline of, say, 10 days, you may be able to file a claim with your card company to get a refund of up to $250 by mailing the item to the card company within 60 days of purchase. See your benefits guide for your credit card, as this is a common feature on many credit cards on the market today. Many cards offer high rewards when you use your card to make a purchase at gas stations , but there is another reason to use credit cards to pay for gas: Gas stations are one of the places where card numbers are most frequently stolen. Gas stations have become a hotbed for card theft because they were allowed a three-year extension to install chip readers on pumps, making them one of the last remaining places for sophisticated thieves to collect card numbers and empty the accounts of unsuspecting customers. Credit cards offer more fraud protection than debit cards, limiting a cardholder’s risk to just $50 at the very most. On the other hand, debit card users can be liable for $500 of losses if fraudulent activity isn’t reported in less than two days and can have all the liability for fraudulent charges that aren’t reported within 60 days. Going out to eat? There’s a reason to put the purchase on the card: Many cards offer double or triple bonuses on restaurant purchases, with some cards offering seasonal cash-back bonuses of 5% on this spending category. In many states, getting 5% cash back on restaurant purchases is like getting a rebate for the sales tax. And while I don’t want to become a broken record for fraud risk, note that restaurants are one of the few places where your card leaves your line of sight when you pay. Every time you buy a meal at a sit-down restaurant with a card, you allow someone you don’t know to leave the room with your credit or debit card. It’s something few people think about, but like gas stations, restaurants are one of the places where card numbers are most frequently stolen. When it comes to travel purchases, credit cards are a no-brainer payment method for a number of reasons. First, most hotel chains and rental-car companies prefer payment by credit card, with some companies outright denying the ability, or making it more difficult, to pay by cash or debit. And when it comes to rental cars, you should be eager to pay by credit card, since most cards have some form of free insurance against damage to the vehicle. Second, the rewards you can earn on travel purchases are generally higher than any other spending category. The best travel cards offer bonus points on all travel spending, which can act as an effective rebate on each purchase you make. Bonus rewards worth $0.03 to $0.05 for every dollar spent on travel is fairly common. Finally, credit cards offer protection if your trip is canceled or delayed, or your baggage doesn’t make it to your destination in a reasonable amount of time. Free trip protection and baggage delay insurance is a common perk on travel-focused credit cards, which can make life much easier if your trip is canceled or delayed, or if your baggage is lost along the way. October's "Rule Breakers" Mailbag: Is Investing Gambling?